Weed On Demand: Your Marijuana is on its way. Blog Weed On Demand: Your Marijuana is on its way. There’s no denying it: Marijuana will eventually be legalized across the entire US. California and Colorado have shown staggering tax revenue—Colorado earned $202,478,690 in the first four months (MJINews.com). In a struggling economy like ours, it is only a matter of time before other states legalize this magic plant. What is still in question is how the cannabis will be bought and sold. It could be 420 shops, or maybe the street corner, but I think it will follow Uber into the On Demand Industry. Read on and I will take you through the pros and cons of the coming Weed On Demand revolution. Weed On Demand – How will it affect me as a current weed smoker? Great changes are coming for the Marijuana smokers of the nation, at least those in states with legalized weed. Just like Uber revolutionized the taxi industry, On Demand Weed companies are set to change how we think of drugs. The days of shady drug deals in the back of a Van are gone, instead you will have the best marijuana strains delivered in minutes. Visible competition will really help drive the prices of the weed down. Until this point you were limited to the price of your local drug dealer, only able to negotiate the price if another drug deal came onto the market. 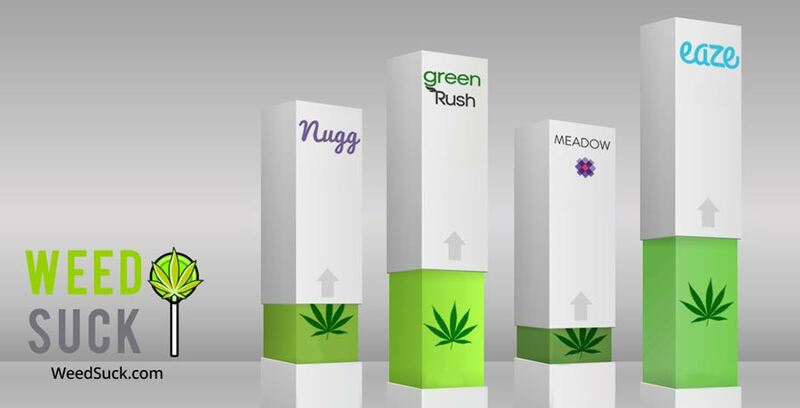 With Weed On Demand, there are already a ton of companies: Eaze, Meadow, GreenRush and more, all trying to get your business. Every single one of these companies offers a Promo Code of some type to get you to try their service. They are fighting each other to be the top, and that is really paying off for the weed consumer. Regulations are another important aspect of the legal weed industry. They carefully screen their drugs, to ensure the top quality. Regular checks by the government ensures that the marijuana you get will be 100 percent pure. They also have more focused budget that allows them to develop even stronger strains with a more potent effect. The most important aspect of the On Demand Weed industry will be the ease and access to Marijuana. With so many drivers, your 420 order will be delivered in minutes without you needing to go anywhere. It will be easy to order your drugs, as simple as calling an Uber. You will get emails with daily deals like you would for power tools from Home Depot. Weed On Demand – How will it affect me as a non weed smoker? It won’t, at least not in any way you will be able to see. How often do you notice people having UberEats delivered to their home? The whole premise of the On Demand industry is that the product is brought to the person, not sold out on the street. Conversely, the Weed On Demand industry will bring a great deal of good things. Companies such as Eaze have raised millions of dollars, hiring hundreds of drivers to deliver the weed. Drug dealers will find that they have a harder time dealing on the streets, when a safe and legal version is available. A new study by CoreLogic has shown that housing prices in Colorado have shot up since legalization. Areas which were dominated by drug paraphernalia stores have cleaned up as they strive to compete with a consumer that is used to clean cars and beautiful websites. For the non weed smokers out there, the future of Pot is bright. Marijuana On Demand companies promise to move drugs off of the street corners. More weed sold means more taxes for education, transportation and other social services. Weed is coming to America, that is no longer an issue. The question now is how long it will take for Weed On Demand to follow after. Only time will tell, but it’s a safe bet it won’t be too far behind.